As Project Coordinator for this IMLS-funded project, I am simultaneously an instructor, systems administrator, and team leader. I have the honor to work with a wonderful team that has included Dr. David Lankes, Mary-Carol Lindbloom, and Dr. Megan Oakleaf. 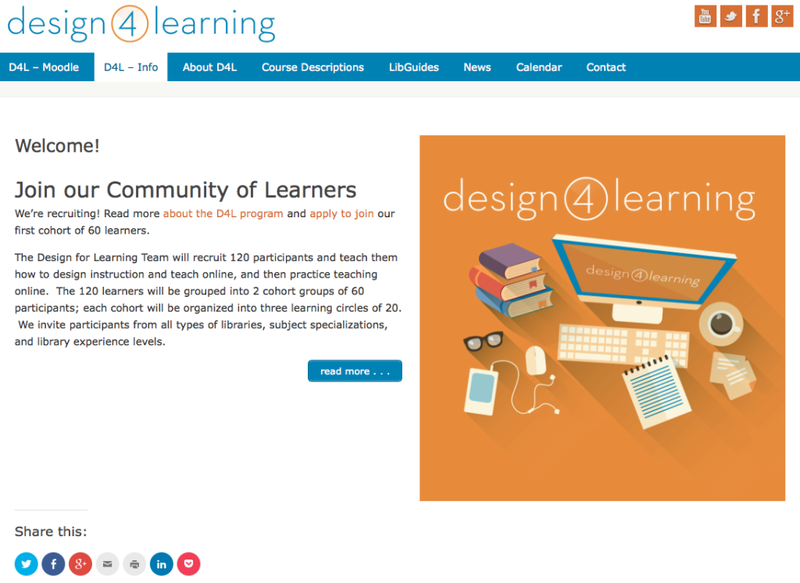 This project provides a series of online course modules to help librarians learn how to take their own instructional skills online. After leading the Community Module and Social Module for several months, I was asked to take on the role of coordinator, and I now have an active role in all 7 modules of the program. Before all of that, however, I began my work on this project by developing the web presence, customizing the CSS on existing themes so that the WordPress and Moodle sites can work together. My work on the information architecture for this project has focused on consistency and ease of navigation for both the students using the course materials and their instructors. 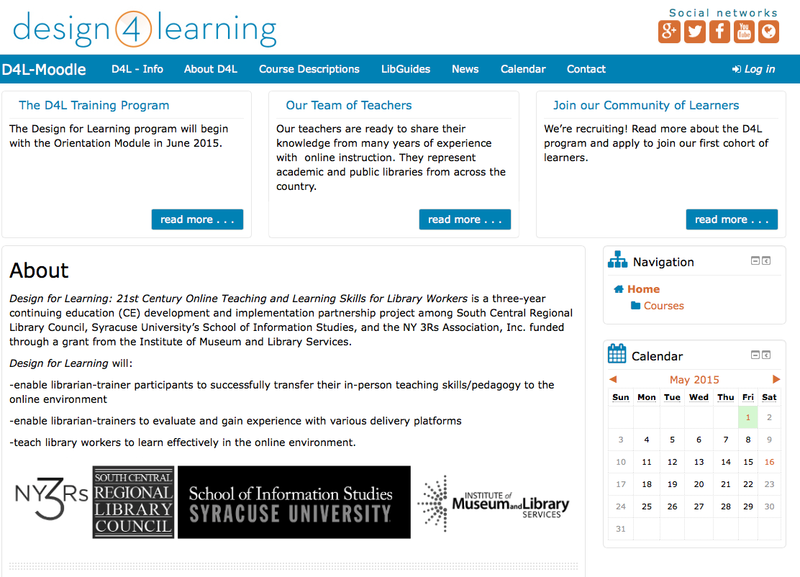 This project is a collaboration of the South Central Regional Library Council, Syracuse University’s School of Information Studies, and the Empire State Library Network. Screenshots from the original WordPress and Moodle sites for the Design For Learning project.